The King County Council and Executive Dow Constantine have appointed Brian J. Carter as the new Executive Director of 4Culture. 4Culture began its Executive Director search last November, following the retirement announcement of founding director Jim Kelly. 4Culture is King County’s cultural funding and services agency supported by Lodging Taxes and the 1% for Art ordinance. Carter was selected at the culmination of a very competitive search process, led by 4Culture’s Board of Directors. Three essential criteria guided the selection: a visionary leader with a passion for 4Culture’s evolving mission and role in the region, excellent public affairs and government relations ability, and a deep appreciation and commitment to advancing racial equity and social justice. Brian has served as Heritage Lead at 4Culture for the past two years, overseeing funding programs and providing technical support to King County’s heritage community. During his tenure, he has advocated for 4Culture to be a catalyst for change and creativity within the cultural sector and implemented an assessment process to understand and respond to the needs of regional heritage organizations. 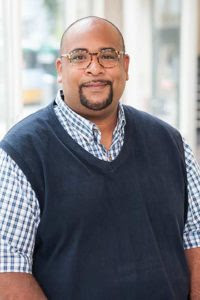 Before his arrival at 4Culture, he held prominent positions in the arts and heritage field, including Deputy Director/Head Curator of the Northwest African American Museum, Museum Director of the Oregon Historical Society, and Director of Interpretation at the Burke Museum of Natural History and Culture. He is currently Board President of the Association of African American Museums and is on the board of the Washington Museums Association. Former Shoreline Mayor Shari Winstead is a board member of 4Culture.